HOT DEAL! 14 Day Best of the West Alaska Cruisetour From $1569 US!7 Day Alaskan Cruises with Radiance of the Seas From $619 US!7 Day Roundtrip Seattle Alaska Cruises From $539 US!14 Day Magnificent Canadian Rockies & Alaska Cruise Package From $3799 US! 10 Day Scandinavia & Russia Cruises From $999 US!Mediterranean Cruise Special - 11 Days Rome to Barcelona From $1909 US!7 Day Greece & Dalmatian Coast Cruise From $3899 US! 7 Day Mexico Cruises Roundtrip Long Beach with Carnival Cruises From $439 US!11 Day Mexican Riviera Cruise Special From $899 US!7 Day Mexico Cruises with Princess From $419 US!7 Day Mexico Cruises Roundtrip Los Angeles From $449 US! 2020 Tahiti Cruise Schedule for Paul Gauguin Cruises!14 Day Hawaii to Tahiti Cruise From $1899 US!7 Day Tahiti Cruises with Paul Gauguin - All-Inclusive Cruises From $2395 US!Windstar Cruises Tahiti Cruises - 7 Days From $1699 US! 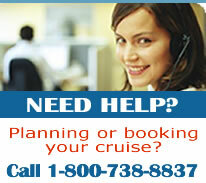 - 7 Day New England & Canada Cruises From $699 US! - 9 Day New England & Canada Cruises with Anthem of the Seas From $829 US! 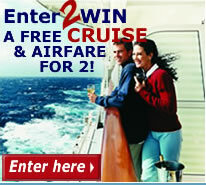 - 7 Day New England Cruises Roundtrip New York with NCL From $599 US!